IN THE NEWS:Is your coffee addiction harming your health? Ever wonder what gives you that jolt moments after your first sip? It’s a surge of cortisol and adrenaline. 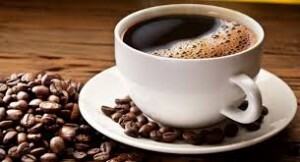 Coffee taps your adrenals to release these stress hormones, so by drinking a cup of java (or a can of soda, as any type of caffeine does this) you are triggering the same physical response your body would have to an imminent danger. While consuming coffee can be great before a job interview or high-stakes presentation, daily use can put you into a chronically high-cortisol state. In fact, a study out of the University of Oklahoma revealed that drinking coffee while under even mild stress causes cortisol levels to rise higher and stay high— long past the stressful event. In general, limit your overall caffeine intake to 100 mg a day (the amount in about one cup of coffee, or three cups of green tea). Exhausted patient after quitting coffee feel so much better afterward.That’s not, by any means, to say that everyone should stop drinking coffee. But knowing how much caffeine you’re drinking and how it’s affecting your body is crucial to knowing whether your daily consumption is healthy. WELLNESS: NATURL Jell-OGelatin is largely composed of the amino acids glycine and proline, which many people don’t consume in adequate amounts as they are found in the bones, fibrous tissues and organs of animals and as a population, we don’t consume these parts as much anymore. These amino acids are needed not only for proper skin, hair and nail growth, but for optimal immune function and weight regulation! Glycine, which makes up about 1/3 of the amino acids in gelatin powder is anti-inflammatory and evidence is finding that it can help speed wound healing. 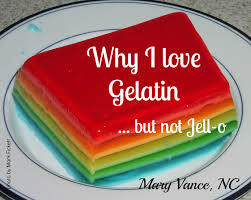 Glycine in gelatin can also help improve sleep ease and quality. You can purchase organic gelatin at the health food store and make your own flavored Jell-O with fruit juice and sweeten it with Stevia if extra sweetening is necessary, fruit juice is usually sufficient alone. CONDITION OF THE WEEK: PAIN when it comes to pain chiropractic offer safe and effective tools. From the chiropractic adjustment which can eliminate the source of pain, to acupuncture and other natural techniques. We have recently added DiaDENS to our arsenal. DiaDENS is a biofeedback TENS unit that can literally erase the pain. It picks up electrical information from your body and adjusts it with the comfortable stimulation that helps rebalance the body. Discovered and manufactured in Russia this is one of the most revolutionary new tools for not only pain control but also in balancing the body’s electrical system for stress, sleep and regulations of internal organs. Who do you know suffers from pain? Tell them about Keefe clinic. FUNNY BONE:Tech Support: “I need you to right-click on the Open Desktop”. Customer: “OK”. Tech Support: “Did you get a pop-up menu?”. Customer: “No”. Tech Support: “OK. Right-Click again. Do you see a pop-up menu?”. Customer: “No”. Tech Support: “OK, sir. Can you tell me what you have done up until this point?”. Customer: “Sure. You told me to write ‘click’ and I wrote ‘click'”. Tech Support: “OK. In the bottom left hand side of the screen, can you see the ‘OK’ button displayed?”. Customer: “Wow! How can you see my screen from there?”. This entry was posted in News and tagged Addictions, Dr. keefe, pain, tulsa chiropractor by DocJohn. Bookmark the permalink.